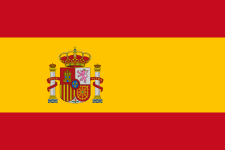 The 2014 European Parliament election in Spain was held on Sunday, 25 May 2014, to elect the country's 7th delegation to the European Parliament. All 54 seats allocated to Spain as per the Treaty of Lisbon were up for election, up from the 50 assigned in the previous election after the 2013 reapportionment of seats in the European Parliament. The People's Party (PP) emerged as the largest party overall, albeit with its worst election result since the times of the People's Alliance with a mere 26.1% of the share and 16 seats, losing 2.6 million votes and 8 seats from its 2009 result. The Spanish Socialist Workers' Party (PSOE) lost 9 seats and 2.5 million votes, obtaining just 23% of the total party vote and 14 seats. This would represent the party's worst election result in recent history until the 2015 general election, in which it scored a new low. Up to 8 additional political forces obtained representation. Pablo Iglesias' newly formed Podemos party (Spanish for "We can") turned into the election night surprise by winning 5 seats and 1,253,837 votes (7.98% of the share), an unprecedented result for a party only 4 months old and contesting an election for the first time. Podemos's surge and the extent of PP and PSOE collapse were not foreseen by opinion polls during the campaign, which had predicted higher support for the two dominant parties and a weaker performance of Podemos. United Left's Plural Left coalition and Union, Progress and Democracy (UPyD) obtained some of their best historical results, with 10.0% and 6.5% of the vote and 6 and 4 seats, respectively. However, this was far from the major election breakthrough that polls had predicted throughout 2013 and in early 2014. From this point onwards both parties would lose support in opinion polls and in successive regional and local elections. The Citizens (C's) party of Albert Rivera, then marginalized as a Catalonia-only party and after several failed attempts to jump in to national politics, managed to obtain 3.16% of the share and 2 seats. Just as Podemos, it would grow in support in the run up to the next general election and become a major political actor by 2015. So far, this time marked the first and only occasion to date in which Republican Left of Catalonia (ERC) has attained victory in Catalonia in an election of any kind since the times of the Second Spanish Republic. All 54 seats were elected in a single multi-member district, consisting of the country's territory, using the D'Hondt method and a closed-list proportional representation system. Voting was on the basis of universal suffrage in a secret ballot. There was no electoral threshold for a party to be entitled to enter the seat distribution. However, the use of the D'Hondt method resulted in an effective threshold depending on the district magnitude. The electoral campaign started at 12:00 AM on 9 May. However, a traffic accident in Badajoz resulting in the deaths of 5 people (1 adult and 4 children) and 12 injured forced the suspension of the start of the campaign in Extremadura. On Monday 12 May, Isabel Carrasco, president of the provincial government of Leon and member of the PP, was shot dead in the street. Policial investigation concluded that the crime's motive were of vengeance, since the two women arrested for committing the crime, wife and daughter of the Chief Inspector of the Police of the nearby town of Astorga, were affilied to the PP; one of them having been previously fired from the Provincial Deputation presided by Carrasco. This event forced another suspension of the campaign for 24 hours by most major political parties, except for some minoritary parties who chose not to stop their campaigns. People's Party (PP): "What is at stake is the future (Lo que está en juego es el futuro)"
Spanish Socialist Workers' Party (PSOE): "You move Europe (Tú mueves Europa)"
CiU: "Let us win Europe (Guanyem-nos Europa)"
PNV: "More Euskadi, More Europe (Euskadi Gehiago, Europa Berrian / Más Euskadi, más Europa)"
CC: "Be demanding for Canarias (Exigente por Canarias)"
CxG: "The Europe we want (A Europa que queremos / La Europa que queremos)"
Plural Left (IP): "The power of people (El poder de la gente)"
Union, Progress and Democracy (UPyD): "Unity is strength (La Unión hace la fuerza)"
Left for the Right to Decide (EPDD): "Let us begin the new country. Now, in Europe (Comencem el nou país. Ara a Europa.)" EHB: "Peoples decide (Herriek erabaki / Los pueblos deciden)"
BNG: "Rebel for your rights! (Rebélate polos teus dereitos!)" 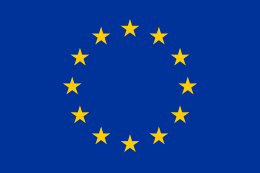 European Spring (PE): "The Europe of people (La Europa de las personas)"
Citizens (C's): "The strength of the union (La fuerza de la unión)"
We Can (Podemos): "Another Europe is possible, together We Can (Otra Europa es posible, juntos Podemos)", "When was the last time you voted with hope? (¿Cuándo fue la última vez que votaste con ilusión?)" & "Of course We Can! (¡Claro que Podemos!)" 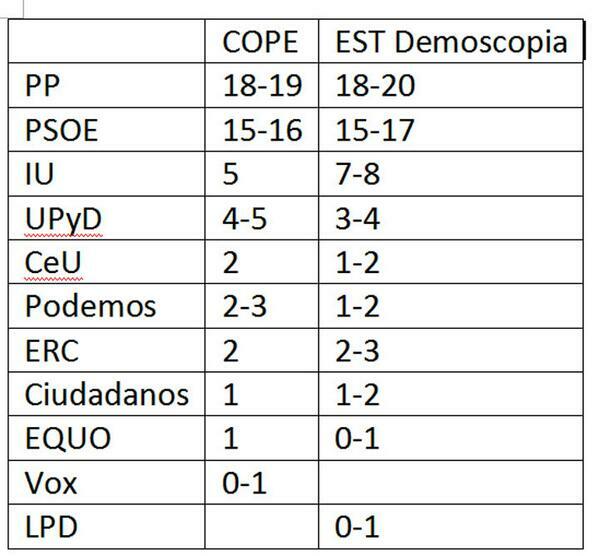 Vox (VOX): "The solution is to change (La solución es cambiar)"
Poll results are listed in the table below in reverse chronological order, showing the most recent first. The highest percentage figure in each polling survey is displayed in bold, and the background shaded in the leading party's colour. In the instance that there is a tie, then no figure is shaded. The lead column on the right shows the percentage-point difference between the two parties with the highest figures. Poll results use the date the survey's fieldwork was done, as opposed to the date of publication. However, if such date is unknown, the date of publication will be given instead. HT Identifies multi-scenario opinion polls which hypothesize on a high turnout. LT Identifies multi-scenario opinion polls which hypothesize on a low turnout. CV Identifies polling firms that explicitly show their top-line results projected over "candidacy votes", that is, votes going for political parties, excluding blank ballots. This is in contrast to "valid votes", which is the most frequent method of vote projection by opinion pollsters and which do account for blank ballots. In order to obtain data comparable to both the official results projected over "valid votes" as well as projections from other pollsters, a rule of three is applied, considering a comparison between 2011 election results calculated both over "candidacy" and "valid votes". The results of such calculation are shown instead. Opinion polls showing seat projections are displayed in the table below. The highest seat figures in each polling survey have their background shaded in the leading party's colour. In the instance that there is a tie, then no figure is shaded. The election resulted in a massive loss of support for the two main political parties of Spain, which together fell from a combined total of 80.9% in the previous European election to a record-low 49.1% of the vote (a net total of –31.8 pp, about –16.0 each one). Podemos, a party founded four months previously running on an anti-austerity platform, won an unprecedented 8.0% of the vote and 5 out of 54 seats to the European Parliament; the best result ever scored in Spain by a newly created party in its first electoral test. The People's Party (PP) came out on top in most autonomous communities except in Andalusia, Asturias and Extremadura, where the PSOE won; the Basque Country, where the PNV prevailed; and Catalonia, where ERC scored first place for the first time in 80 years. In these last two communities the PP polled in fourth and fifth places, respectively. Significant were, however, their results in Madrid, Valencian Community and Murcia; in the first two it polled below the 30% mark for the first time in 25 years, while in the latter it experienced a spectacular drop in support, falling from the 60% mark it had maintained since the 2000 general election to below 40% of the vote. Also, except for the autonomous cities of Ceuta and Melilla, it didn't surpass the 40% mark in any region, not even its strongholds of Galicia (where it polled a mere 35%), Castile and León or Castile-La Mancha (38% in both of them). The Spanish Socialist Workers' Party (PSOE), except for those communities where it won, experienced a significant drop in support. It suffered most notably in Catalonia and Basque Country (where it finished in 3rd place). In Catalonia in particular, the PSOE's sister party, the Socialists' Party of Catalonia, had previously won all general and European elections held in the region–except for those of 1994 and 2011, where it polled second just behind Convergence and Union–. Until this election, the worst result of the party in this region in such elections had been the 2011 result of 26.7%; in this election it fell to 14.3%. Other parties benefiting from the collapse in support for the PP and PSOE parties were United Left-led Plural Left (IP) coalition, which with a 10.0% obtained its best results nationally since 1996, and Union, Progress and Democracy (UPyD), whose 6.5% would remain the highest the party would win in a nationwide election before their decline throughout 2015. The Citizens party (C's) entered the European Parliament with 2 seats and 3.2% of the vote. ↑ EPDD results are compared to the Europe of the Peoples–Greens totals in the 2009 election. ↑ C's results are compared to Libertas–Citizens of Spain totals in the 2009 election. ↑ LPD results are compared to the Internationalist Initiative–Solidarity between Peoples totals in the 2009 election. The election backlash had immediate consequences on the Socialist party (PSOE), which scored its worst result ever in an election held at a nationwide scale: a bare 23.0% of the vote, compared to the already dismaying results the party had obtained in the general election of 2011, with 28.8%. Alfredo Pérez Rubalcaba, which had won the party's leadership on a 2012 party federal congress, announced his intention to resign from his post after his party holds an extraordinary Federal Congress on 19–20 July to elect a new Secretary-General, ahead of the scheduled November Socialist primaries to elect the party's candidate for the 2015 election. Rubalcaba also announced his intention not to run in these primaries. Several regional party leaders followed suit and announced their intention to hold regional extraordinary party congresses as well. On the other hand, People's Party (PP) leaders refused to publicly acknowledge the negative results of the party in the election, despite losing 40% of its 2009 vote and scoring the worst result the party has obtained in a national election since 1989, instead opting to highlight the fact that they had won the election. Despite this, the party had to cancel the victory celebration that was to be held in their national headquarters in Madrid due to the poor affluence of party supporters which went to the place, a result of election results much worse than expected. Concerns arose among party regional leaders on the prospects of such electoral results being displayed at the local and regional level in the May 2015 elections, something which could potentially force the PP out from the government of party strongholds' such as Madrid and Valencia. On 26 May El País ran the headline "Harsh punishment to PP and PSOE", whilst El Mundo declared that "Bipartisanship crumbles". International media focused instead on the rise of Podemos party, with the BBC headlining that "Spain's 'we can' party proves it can" or "Spain's Podemos party challenges system", while others stated how the final election results "stunned analysts and pollsters". One week after the election, Spanish King Juan Carlos I announced his intention to abdicate in favour of his son, Felipe. Allegedly, the election results had no influence in the King's abdication. Rather, the elderly monarch had taken the decision the day of his 76th birthday in January and had spoken about it with Prime Minister Mariano Rajoy on 31 March and with opposition leader Rubalcaba three days later, but it was not until after the election that he announced it in order not to affect the electoral process. However, abdication was not regulated under the Spanish Constitution of 1978 and thus required the approval of an Organic Law on the matter. PP, PSOE, UPyD, CC, FAC and UPN all pledged their support for the law's approval. Attention then turned to the PSOE leader Alfredo Pérez Rubalcaba as rumours spread about him not resigning right away the day after the election in order to keep controlling the party so as to ensure the affirmative vote of its parliamentary group on the law. This was received with criticism from several of the party's regional federations but also from its members and the Socialist Youth, openly republican, who demanded the party ask for a referendum on the monarchy issue. Furthermore, there was speculation on the opportunity of the King abdicating at the time he did. In fact, due to the crisis of the bipartisanship self-evidenced by the European election results, the idea of the King announcing his decision before the 2015 general election, when the election results could translate into PP and PSOE losing a host of seats in the Congress of Deputies, making the building of large majorities more difficult, became extended among public opinion. The fact that the future of the Spanish Socialist Workers' Party's position on the monarchy, as well as the future of the party itself, looked uncertain after the debacle in the European election and Rubalcaba's resignation seemed to have also played a key part in precipitating the King's decision. PM Rajoy said, on the day the King announced he would abdicate, that "This is the best time [for it to happen], within a short time the Prince shall be proclaimed King". ↑ "The start of the electoral campaign in Extremadura is suspended" (in Spanish). ABC. 2014-05-09. ↑ "Shot dead the president of the Deputation of the PP of Leon, Isabel Carrasco" (in Spanish). El Mundo. 2014-05-12. ↑ "Those arrested for the murder of Isabel Carrasco are members of the PP" (in Spanish). Libertad Digital. 2014-05-12. ↑ "Two PP militants allegedly murder a PP leader" (in Spanish). eldiario.es. 2014-05-13. ↑ "The two arrested for the crime of Isabel Carrasco are the wife and daughter of a police inspector but did not use his service weapon" (in Spanish). Diario de León. 2014-05-12. ↑ "Parties suspend their campaigns after the murder of Isabel Carrasco in Leon" (in Spanish). RTVE. 2014-05-12. ↑ "Bildu and BNG don't suspend their campaigns after the murder of Isabel Carrasco" (in Spanish). ABC. 2014-05-13. 1 2 3 4 5 6 7 8 9 10 11 "European electoral campaign: candidates, slogans and programs" (in Spanish). Mas Consulting. 2014-05-09. ↑ "Terricabras (ERC) wants to change the "merchant and mercenary" Europe and to obtain a Catalan state" (in Spanish). La Información. 2014-05-09. ↑ "PNV will open its campaign in Hondarribia, EH Bildu in Pamplona, PP and Vox in Vitoria and PSE-EE, UPyD and Ezker Anitza-IU in Bilbao" (in Spanish). Europa Press. 2014-05-07. ↑ "The BNG will not assume loans and renounces to grants and to send propaganda" (in Spanish). Europa Press. 2014-04-24. ↑ "UPyD and C's concur with two 'copied' slogans : 'Unity is strength' and 'The strength of the union'" (in Spanish). La Información. 2014-05-09. ↑ "When was the last time you voted with illusion? / Of course We Can!" (in Spanish). podemos.info. ↑ "Bipartisanship loses after the harsh result of voters to PP and PSOE". El País. 2014-05-26. ↑ "Podemos turns out into a surprise and wins five seats in Strasburg" (in Spanish). El País. 2014-05-26. ↑ "IU y UPyD confirman su subida y se postulan como bisagras para 2015" [IU and UPyD confirm their rise and postulate as key for 2015] (in Spanish). El País. 2014-05-25. ↑ "Rubalcaba throws in the towel and calls for an extraordinary congress after the debacle" (in Spanish). El País. 2014-05-26. ↑ "Rubalcaba shall announce this Monday that he will not run for the primaries" (in Spanish). Libertad Digital. 2014-05-25. ↑ "Patxi López also leaves and asks for "a revolution"" (in Spanish). El País. 2014-05-27. ↑ "Cospedal highlights that has won the party supporting the Government" (in Spanish). ABC. 2014-05-25. ↑ "Neither balcony at Genova nor acclaim at Ferraz, thus ends the most bleak electoral night" (in Spanish). ABC. 2014-05-26. ↑ "The PP cancels the celebration in Génova, despite announcing its election victory" (in Spanish). La Sexta Noticias. 2014-05-26. ↑ "Aguirre and Fabra, worried about the PP results, call for thought" (in Spanish). El Confidencial. 2014-05-26. ↑ "Harsh punishment to PP and PSOE" (in Spanish). El País. 2014-05-26. ↑ "Bipartisanship crumbles" (in Spanish). El Mundo. 2014-05-26. ↑ "Spain's 'we can' party proves it can". BBC News. 2014-05-26. ↑ "Spain's Podemos party challenges system". BBC News. 2014-05-26. ↑ "Spain's new left-wing party scored one of the most stunning victories in the European elections". Business Insider. 2014-05-26. ↑ "Spain's new leftwing party stuns pollsters". The Financial Times. 2014-05-26. ↑ "El Rey abdica". El País. 2014-06-02. ↑ "The King took the decision in January and commissioned a report on the process" (in Spanish). El País. 2014-06-02. ↑ "The election result had no influence in the King's abdication" (in Spanish). Estrella Digital. 2014-06-05. ↑ "The Government prepares an organic law in order to regulate the adbication of Juan Carlos" (in Spanish). La Vanguardia. 2014-06-02. ↑ "King Juan Carlos of Spain abdicates". BBC News. 2014-06-02. ↑ "The succession will have the support of 90% [of parliament]" (in Spanish). El País. 2014-06-03. ↑ "Rubalcaba did not resign in order to control the PSOE during the process of abdication" (in Spanish). eldiario.es. 2014-06-02. ↑ "The King's farewell unleashes another schism in the ranks of PSOE" (in Spanish). El Boletín. 2014-06-02. ↑ "Rajoy, Rubalcaba and the Royal House did pact the Juan Carlos I's quiet takeover" (in Spanish). eldiario.es. 2014-06-02. ↑ "The King abdicates in order to save the Monarchy from the institutional crisis" (in Spanish). El Confidencial. 2014-06-02. ↑ "The King tells his friends that Rubalcaba's fall precipitated the abdication" (in Spanish). Vozpópuli. 2014-06-09. ↑ "Rajoy: "This is the best time, within a short time the Prince shall be proclaimed King"" (in Spanish). El País. 2014-06-02.